This coffee is going to be sold as a single origin for drip brew and as a wonderful base for an espresso blend I have created. It is incredibly sweet. There is mild fruit acidity with cooked banana (and pumpkin pie? Okay, maybe that’s just the placebo of the season…) on the nose and sweetness like meringue (I can imagine drinking this with pumpkin and/or banana meringue pie..mmmmm.). While this is a fantastic as a drip brew coffee, it is phenomenal in my new espresso blend (available this week–Black Cow Espresso Blend). I experimented tonight on the PID equipped Gaggia and hit on the money exactly what I was looking for with the Bob-O-Link as my base (total of six coffees, three of which are from Brazil, all but one of which are dry-processed). This blend has a wonderful sweet pipe tobacco base, with a hint of smoked chocolate and ground almonds, and it has that sharp sweetness through and through as I described above. The body coats your mouth like syrup in a syrup bottle. And it is a very smooth shot. Fantastic. 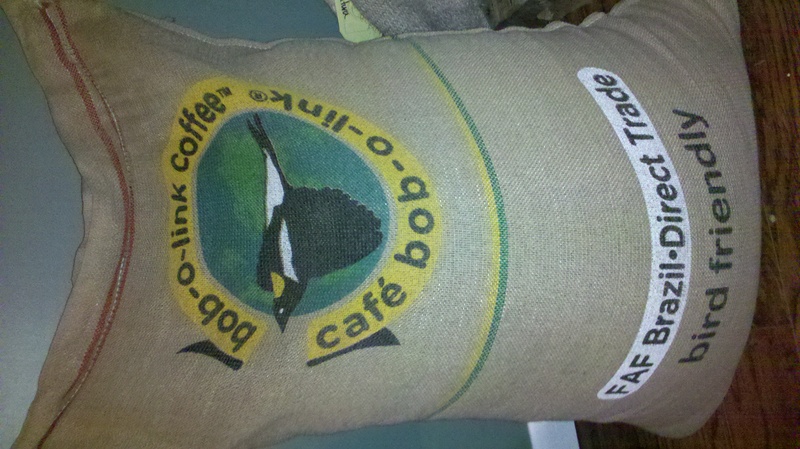 Look for these coffees (and more) to be up on the website this week!